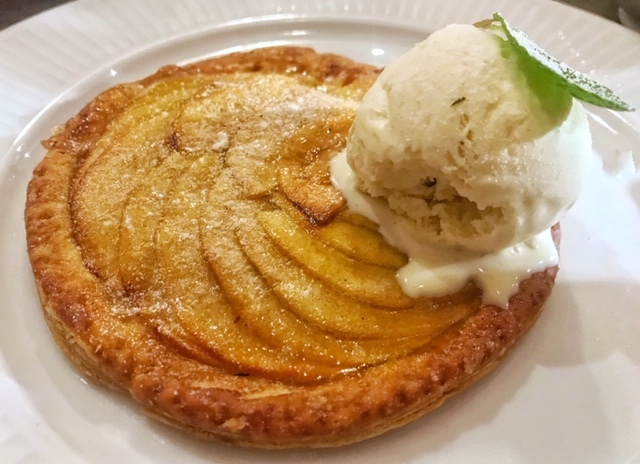 When it comes to French food the choice in Liverpool is small but decent. Cafe Rouge is (thankfully) gone. We still have the Bistros, all of which I know well and who will always hold a special place in my heart. 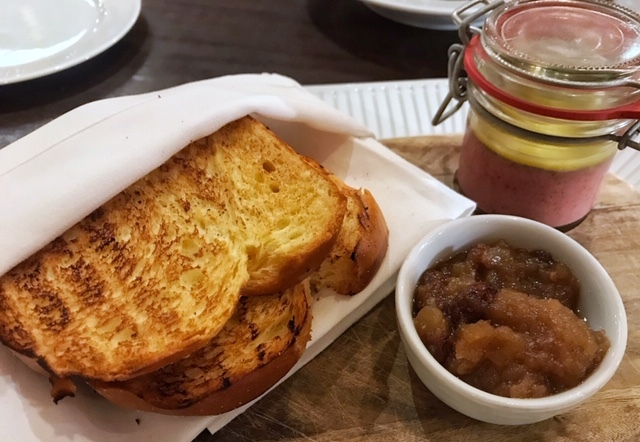 Then there's Caveau in Woolton which I've never tried but heard good things about, and of course we have Bread and Butter whose simple, home-cooked plates really impressed me last year. 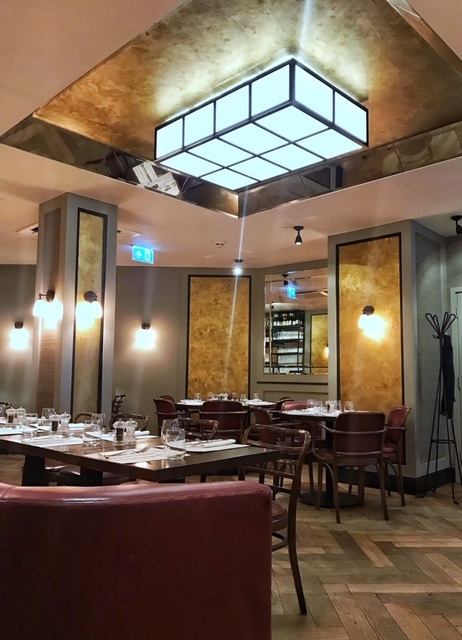 Côte Bistro, however, doesn't bear much resemblance to any of those places. You see, Côte is much more 'Chic Parisian Cafe' than it is 'Country Château'. The Art Deco theme is subtle but present in the linear black and white, accents of gold and the warm, intimate table lighting. The tableware is classy. The napkins are linen. There are no frogs legs* on the menu. This is an entirely more sophisticated affair and, whilst I'm sometimes wary of food at the big chains, I have to admit the food here was pretty faultless. 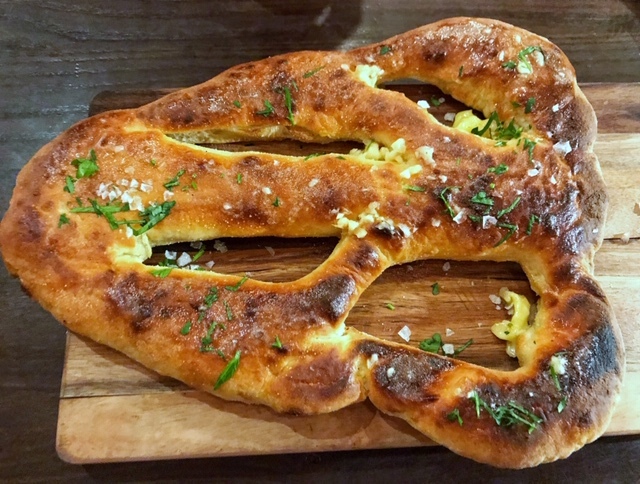 The Fougasse, basically a classy take on garlic bread, is served steaming hot and doughy, slathered in garlic butter with a liberal dusting of Maldon salt. It's delicious. 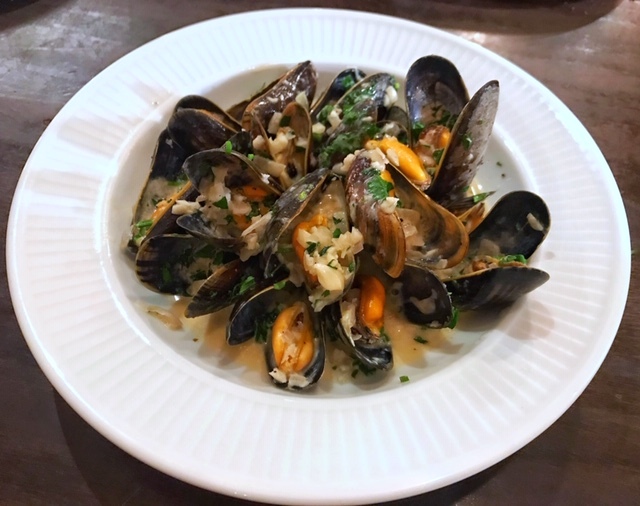 Even more so when dunked in to the sweet and creamy broth of my Moules Marinières. Again, absolutely laden with garlic and the perfect accompaniment to a bowl of plump little mussels. 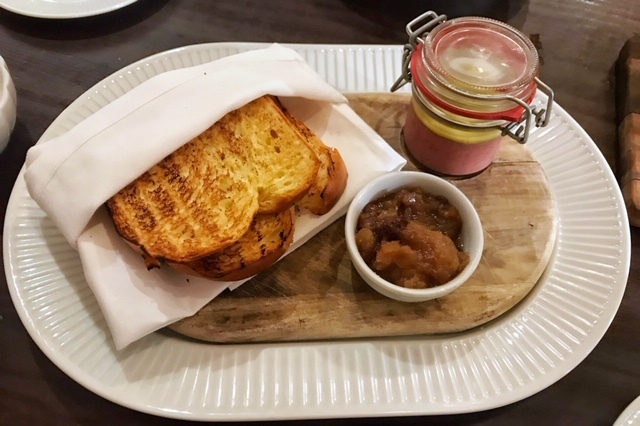 My partner-in-dine (a phrase I believe Hungry Harriet coined and I am henceforth stealing) enjoyed a super smooth Chicken Liver Parfait with sweet toasted brioche and a tangy apple chutney. It was an excellent start. Mains followed in a similar vein- simple but well done. 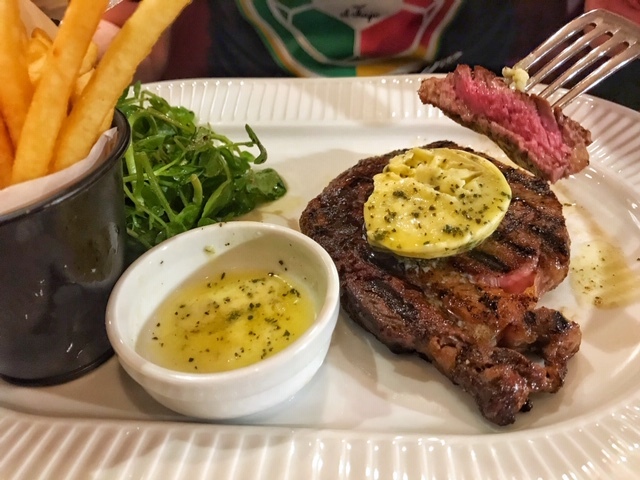 We had a really good Ribeye Steak and fries (or frites if we're being French), served with salad and swimming in garlic butter. Are you sensing a theme here? It was a very garlicky afternoon. 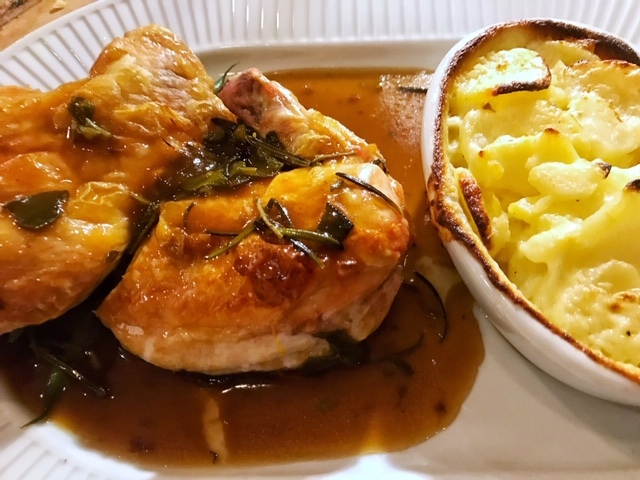 As it was a Sunday I went for the Chargrilled Breton Chicken, heavy with rosemary and sage and served with gravy, green beans and a very good bowl of creamy gratin potatoes. It was solid, comforting food that left us utterly bursting at the seams, and I mean that literally. In a move I've perfected over the past few years of running this blog I managed to whip my belt off under the table. Very sophisticated. Now that I was sans-belt It meant I could sample something off the dessert menu, and in the name of fair and honest reviewing I felt like I had to. 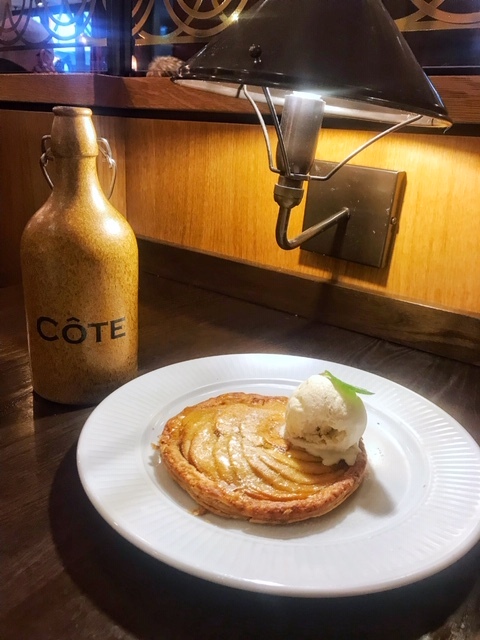 I went for the most French sounding thing I could find which came in the form of the Tarte Fine aux Pommes which was a beautiful looking little disk of puff pastry with sliced apples, sweet and lovely on the side of a strong coffee. 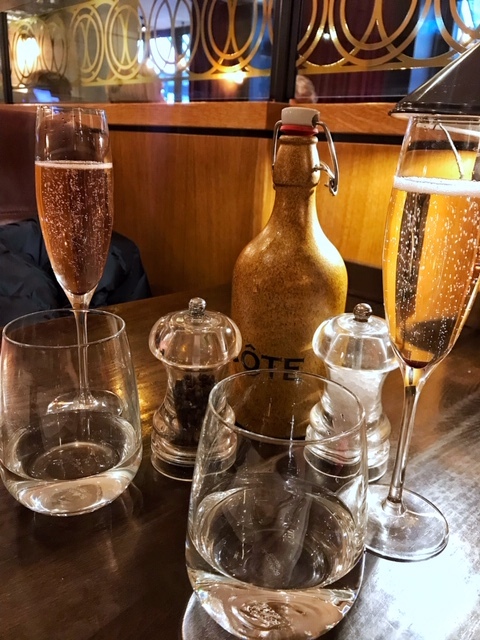 I was surprised (and pleased) by how much we enjoyed our meal at Côte, it's a really lovely little place, the staff are brilliant and the food is great quality. 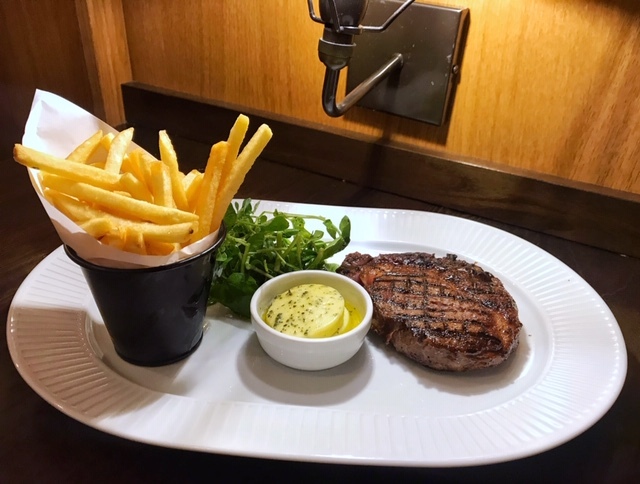 When it comes to a smart lunch or evening meal around Liverpool One this one is definitely a good choice. *no frogs legs is either sad or fortuitous depending on how funny you think it is to drink too much vino, order frogs legs and subsequently try and make everybody on your table eat them. 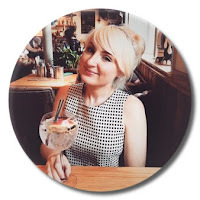 * I was kindly invited to review a restaurant of my choosing by Liverpool One and I chose Cote Bistro. However as always this review is completely honest and all opinions, photos and rubbish jokes are entirely my own!